SION SIMON – Labour’s candidate for the job of West Midlands Metro Mayor – has been slammed for his comments about building on Greenbelt land in Solihull – putting the Meriden Gap under threat. Speaking at a debate between the candidates, Mr Simon said the borough’s fiercely protected Greenbelt should be built on to meet the region’s housing needs. But his comments have come under fire from Meriden MP Dame Caroline Spelman, who has fought for 20 years to protect the Meriden Gap between Solihull and Coventry. “People want the new housing but they don’t want it built in their Greenbelt, they want it built in somebody else’s Greenbelt, and they want the land, but they don’t want to pay to clean up the dirty land. “The most difficult conversation here is with Solihull. “Solihull, which has the great bulk of the wealth and a huge pressure on land, and has very expensive land. “There’s a huge resistance to building on the Greenbelt. “There’s a huge resistance to ceding planning powers. “There is a great reluctance to go down the road of a regional spatial plan. Mr Simon’s comments have drawn fierce criticism and a hands-off cry from Solihull’s MPs – Julian Knight and Caroline Spelman. 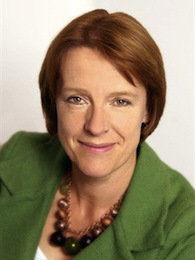 Dame Caroline Spelman, who has consistently backed new legislation to protect the Greenbelt and fought to protect the Meriden Gap for two decades, said: “Solihull acknowledges it has a duty to co-operate with its neighbours to help meet demand for housing, and for that reason Solihull MBC recently consulted on a bespoke local plan to meet housing need – which includes additional provision to assist Birmingham and Coventry. “Whilst I acknowledge the future West Midlands Mayor will have the power to remediate Brownfield land for the purpose of new house building – a responsibility which could help protect the Greenbelt – they do not have any planning powers or the power to pressure individual members of the Combined Authority into taking more than their fair share. Dame Spelman added that Mr Simon had failed to acknowledge that Solihull has, in recent years, already sacrificed much of its Greenbelt in order to support strategically important regional and national infrastructure such as the NEC, the expansion of the runway at Birmingham Airport and the expansion of Jaguar LandRover. This is on top of the planned construction of HS2 and remodelling of Junction 6 of the M42 in the coming months. Just looking at him I would not trust him when I had the booklet through the other day for voting . Threw mine in the bin without reading it, a waste of taxpayers money just like this whole 'West Midlands Mayor' charade. People will still vote for him, just because he's Labour. If I vote at all it'll be UKIP just to annoy the main party candidates. lol thats where mine went Dutchman in the bin no way would I ever vote Liebour nor the Cons imo they are all cons and liars. Its just to kill our identity as I ve said from the start hence knocking down our historic buildings bit by bit. Last edited by Melisandre on Sun Apr 16, 2017 2:53 pm, edited 1 time in total. It's just a first step in imposing direct rule from Westminster. So there fore its a dictatorship not a democracy here now. I don't think we've ever had true democracy in this country, but the version that we have is certainly better than in many countries that I've worked in. It ain't perfect by any means, but the alternatives are not quite so attractive in my view. So why lie trying to convince us we live in a democracy when we surely dont and never have. Do they think we are all still thick.